Gupt Navratri is also known as Banada Ashtami. It starts with Pausha Shukla Ashtami and ends on Pausha Purnima. Meaning: ‘Gupt’ signifies secret or hidden. This Navratri is performed secretly and Maa Durga is worshipped on this day but very privately. This secret worshipping is very powerful and brings results for those who observe it with full dedication. Significance: People who perform Tantra Vidya know the real significance of this Navratri. It’s meant for hidden worship. Tantriks practice this Puja so that they can attain spiritual powers. Worshipping Goddess Durga during this festival results into prosperity. Story behind this festival It is believed that two Tantriks Vishwamitra and Vashishta started Sadhna but they were unable to receive it with proper perfection and hence their efforts went in vain. They then found out the time in the year where they could get desired results. That same period is called Gupt Navratri where a person can perform Puja and get desired results. 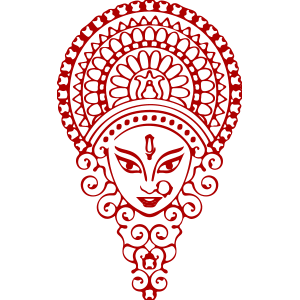 Since then these nine days are devoted to Goddess Shakti secretly. Rituals \n1. One should take a bath before Sunrise on all the nine days. \n2. One should clean up the place of worship and place pictures of Goddess Shakti on a red cloth and can even decorate the worship place. \n3. Light up incense and sprinkle Ganga Jal. \n4. One should recite few mantras as well. Benefits \n1. Prosperity in wealth, fortune & welfare. \n2. Monetary profits by honoring Goddess Durga. \n3. Free from obstacles in business. \n4. Success in education, career. \n5. Successful love life, great partner and happy marriage.